At Money Gap Group Limited, we always endeavour to provide the best service we can to our customers. It is important from this point of view that we are aware of any problems you may have in using our websites and services, or any complaints you may have in relation to any of our operations. If you are making a complaint, it is important that you provide us with as much detail as possible. We may need to ask you to verify your identity, which will be done by telephone or by letter. 1. Upon receiving your complaint, we will do our best to resolve the complaint by the close of business the following day. In order to assist us deal with your complaint swiftly, it is best that you provide a daytime telephone number when making your complaint. 3. Upon sending the letter, we will commence a thorough Management Investigation into the complaint raised by you. 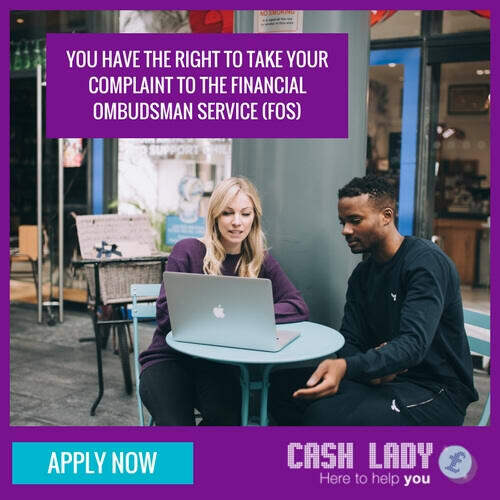 The FOS sets an 8 week period for Companies to conduct a Management Investigation and provide a Final Written Response to the complainant. We will make all efforts to investigate your complaint sooner than this, but depending on the complexity of the complaint this may not be possible. We will endeavour to keep in contact with you on a regular basis as we attempt to resolve the matter. 4. Once the investigation is complete, a Final Written Response will be sent to you from Money Gap Group Limited that will provide you with a summary of our investigation and our decision in the matter. This will also include a copy of the Financial Ombudsman Services’ explanatory booklet.